Alarm bells over the threats to the global milk industry from the rise in veganism and animal welfare activism rang out repeatedly during two full days at the Semex dairy conference in Glasgow. UK dairy workers, who were already concerned about the onslaught on their businesses before they arrived, went home under no illusion that they now have to unite to counter growing criticism of agriculture. However, while the high-profile speakers were clear about the dangers facing milk production, they were short of practical solutions for reversing the trend. Global giant Arla’s new UK managing director, Ash Amirahmadi, pointed out that celebrities had “normalised” veganism and made it exciting. He warned the industry to prepare for the next wave of investigation, particularly into antibiotics, and said promotional body Dairy UK had already introduced Milk Sure, an industry training course to help farmers avoid residue in milk. Mr Amirahmadi said: “We need to protect the industry, but we can’t just win on a protect strategy, we need to promote and make the industry exciting. “We haven’t yet been exposed on antibiotics and we could be – it could be the next one coming down the line. 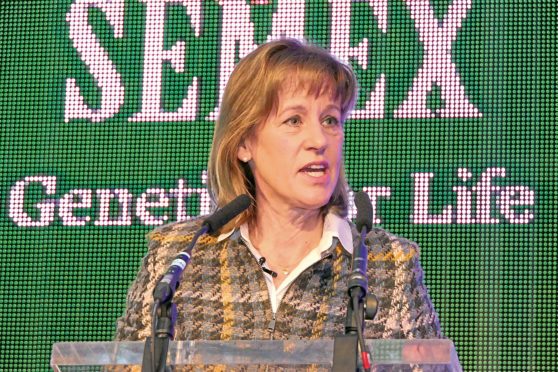 NFU president Minette Batters called for “zero tolerance” of the animal rights movement and an end to the undermining and harassment of sustainable dairy production, but admitted that new ways of selling the industry had to be found, including better use of labelling. Meanwhile, Sue McCloskey, one of the biggest dairy farmers in the US, explained how her family have turned Fair Oaks Farms into an agri-tourism attraction, complete with hotel. She emphasised the importance of social media but insisted farmers should not engage in “counter bashing”.